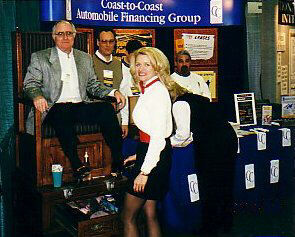 Attractive models needed to shine shoes at conventions and trade shows. Earn $250.00 plus per day. Professional training. Booth model work also available. Help needed in all of the major convention cities. THE CLASSIC SHOE SHINE CO. will help you start a shoe shine business in your area as a licensee of THE CLASSIC SHOE SHINE CO. or we offer management consultation packages for your business start up plus shoe shiner training. A market study of your area to find potential locations. Assist you in negotiating leases with your locations. Training in how to recruit and train, including the placement of ads and conducting telephone and personal interviews. Training in operation and all forms and contracts necessary to operate a successful shoe shine operation. Provide training manuals for your shoe shiners. Provide an experienced trainer to train your initial staff. Provide on going consultation for operational opportunities.